Cell phones are part of our daily lives. While essential for many basic things, they can also be a distraction, and distractions can be dangerous when you're on the road. The team at Foley Law Firm has noticed a number of serious auto accidents caused by distracted drivers using their cell phones. 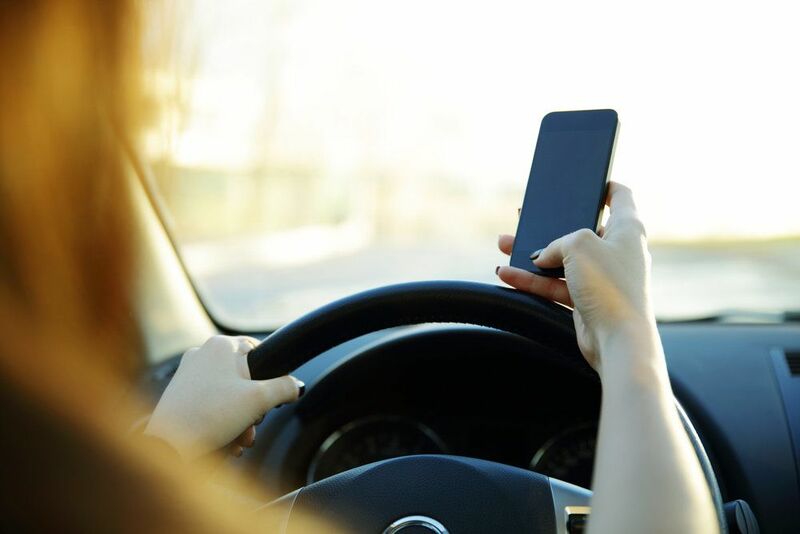 Since these matters can affect countless numbers of people in the greater Scranton area, we'd like to explore the issue of driver distraction related to mobile devices. When you are driving, it's important that your attention always be on the road ahead of you. Driving while distracted can lead to serious injuries for drivers, their passengers, and other motorists, as well as bicyclists and pedestrians. Using cell phones while behind the wheel is definitely one of the riskiest forms of driver distraction. And yet so many people do it, day in and day out, particularly young motorists. In the state of Pennsylvania, the use of a cell phone while driving to send or receive any kind of text-based media is illegal. This means that you cannot read/send texts, read/send emails, or use any kind of messaging while you are behind the wheel. If you are caught doing this, you will be subject to a fine of $50 in addition to other potential penalties given the circumstances of your traffic stop. It is not illegal in Pennsylvania to make or receive calls on a cell phone so long as they follow the law. In order to do this legally, drivers must be using a hands-free set. It's important that any calls made while you are behind the wheel be calm. Ideally, drivers should make phone call when they are parked or not on the road. It's estimated that a person's eyes are off the road for roughly four to five seconds when they are texting. When traveling at highway speeds, a person is able to cover the length of a football field in four to five seconds. Major collisions and accidents can occur during such a short timeframe and given the amount of distance that is covered. GPS makes getting where we have to go far easier than every before. Of course, it's important that it be used properly and safely. Taking your eyes off the road to punch in an address can be just as deadly as texting while driving. When behind the wheel, avoid using your mobile device for texting, emailing, and other kinds of message sending uses. This is just common sense and will prevent many major injuries and accidents. If you have to make a call or receive a call, it's important that you use a hands-free set. Do not take any risks by driving with just one hand. If you do not have a hands-free set, find the next spot where you can safely pull over and park your car or truck before using your phone. If you're going to be using your GPS on your phone to get to a set destination, be smart about it. Enter the address before you start driving so your route is ready as soon as you get on the road. This will help keep you and everyone else around you safe. If you would like to learn more about your legal options following a serious auto accident, it's of the utmost important that you contact our personal injury law firm today. The entire team here at Foley Law Firm will fight diligently for you and your legal rights.